The network-ready Xerox Phaser 7500dn printer's robustness can run short, but offers quality print jobs and small enough to fit in busy offices. The inspiring color management and printer board will simplify the printing process and give your office more capabilities than your standard printer. The printer guarantees to save your company substantial money while utilizing high-volume prints in-house. The suitable printer can be manipulated to fit on a low-profile desktop or configured to a highly productive machine standing on the floor. The one Giga Hertz mandates high-quality graphics, photos, and charts. The Gigabit Ethernet is standard and compatible with Microsoft Windows, Linux, and Macintosh. The accounting features enable the analyzing and tracking of black-only and color prints. The feature gives accurate chargeback in billing individuals or companies. The flexibility of the machine allows the system to be transformed into a high-volume machine with three additional 500-sheet trays. The printer is useful in creating professional brochures, reports, newsletters. Automatic duplexing features works for collation and booklet printing. Various arrays of media such as card stock, labels, and 47-inch banners can be printed. The 1200 x 1200 dots per inch resolution prints out crisp, colored, detailed prints. The resolution is unambiguous while utilizing the Adobe PostScript 3. The Adobe PostScript 3 makes certain the documents are rich and prints fast. The Black Trapping feature produces exceptional results by keeping text transparent and readable, regardless of background. The rate of prints it can dish out is up to 35 pages per minute for both, color and black & white documents. With the duty cycle of 150,000 pages per month, the printer is a well-rounded tool for productivity. 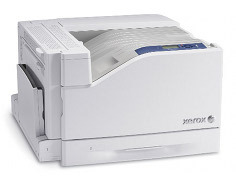 The Xerox Phaser 7500dn printer's size of 25.2 inches in width, 26.2 inches in depth, and 30.3 inches in height makes it fit compactly against a wall. The paper output of 400 sheets will save the user time by pressing the print button, and leaving it to make the prints for up to 400 sheets before removing the prints. The maximum capacity paper these printers can accommodate will be around 2,100. The connectivity is not too limited with the USB 2.0 port, and Gigabit Ethernet. The Color By Words drop-down menu permits the user to add more notable effects to their documents. For instance, adding more green tone to the yellowish grass in a photo would make it seem more fluid and dynamic. The saturation effects give photos a clean, dynamic, fluid image when the photo just does not seem complete. The Xerox Phaser 7500dn printer permits direct management with innovative features. The CentreWare Internet Services integrated in the web server will save you time with automatic configuration and installation. If a problem occurs within the use of the printer, managers can view troubleshooting options in their web browser. The easy-open access located in front of the printer offers trouble-free maintenance when changing toners or adding paper. 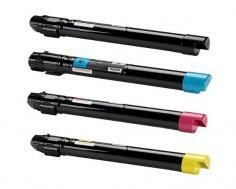 The printer's capacity to communicate updates and toner levels from the front panel, the web, or your desktop handy. Pop-up alerts will notify you of any complications and suggest ways to rectify the issues. When using the printer for print jobs, 670 watts of energy is not too shoddy, but could be better. The printer cost originally around $3,000. Three-thousand dollars is normally beyond the range of small businesses. The printer is invaluable but expensive. The ink cartridges cost no less than 300 dollars for each color. Depending on the business requirements and performance, the high-prices will hurt the bottom-line. You will have to buy your own Ethernet cables and USB wires. The printer is one of the most heavy printers seen yet, at 218 pounds. The weight of the printer obviously exhibits incompatibility to fit on top of a regular desktop. The printer should be set against the wall or on top of a desk with a strong foundation; if you can lift it. 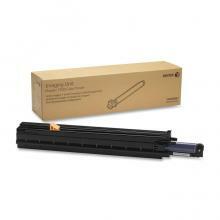 Review it: "Xerox Phaser 7500 "
Xerox EA toner produces the smallest toner for sharp lines, better contrast, sharper quality. The Xerox High Capacity Black toner will yield 19,800 pages; Xerox High Capacity Cyan will yield 17,800 pages; Xerox High Capacity Magenta will yield 17,800 pages; Xerox High Capacity Yellow will yield 17,800 pages. The standard toners for Cyan, Magenta, and Yellow will yield around 9,600 pages. The yield-based average depends on the complexity of colors and documents.